Featured on the cover of Pacific Northwest Magazine and completed in 2011, this modern home is a true work of art. 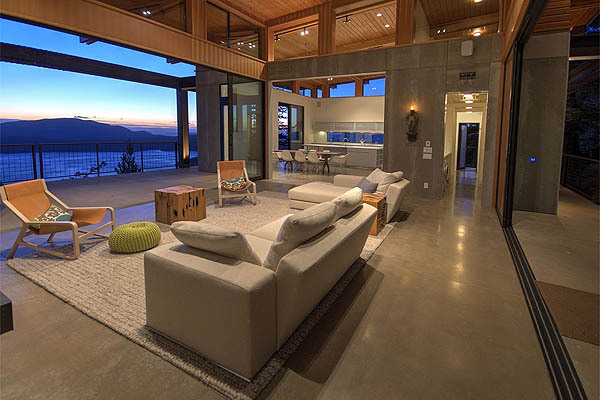 Sweeping views across the San Juan Islands and beyond are framed by the glass sliding walls, integrating the nature outside with the living inside. Designed by Jeb Thornberg and Michael Wangen of Indigo Architecture & Design, the foundation legs support a Vierendeel frame that allow the wings of the house to cantilever 28 feet in both directions, leaving the landscape pristine and untouched.